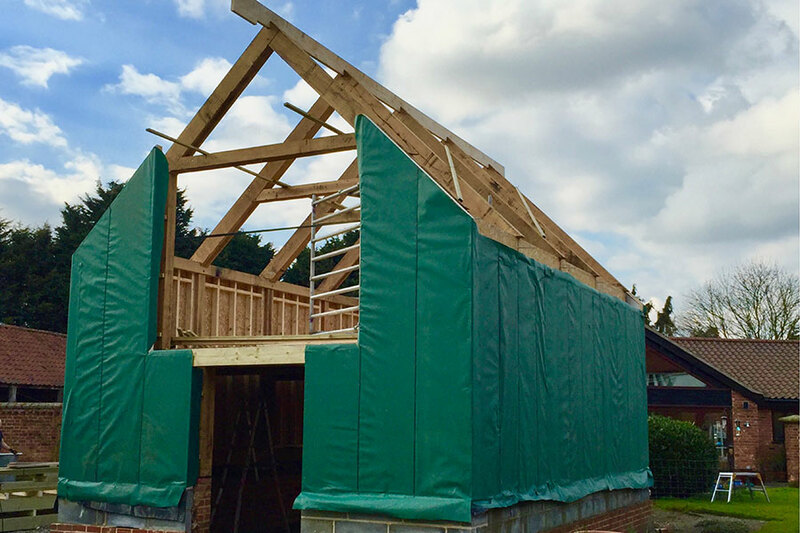 This dwelling in Banham consisted of a complete oak framed structure with insulated panels between. 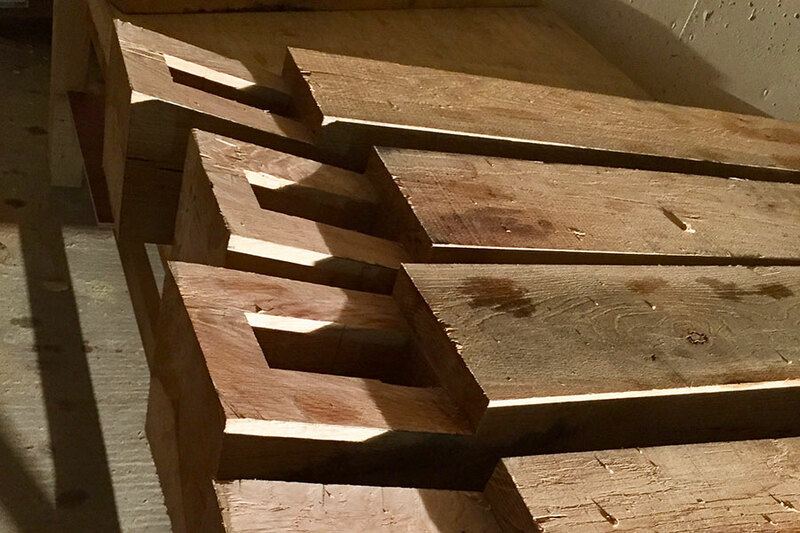 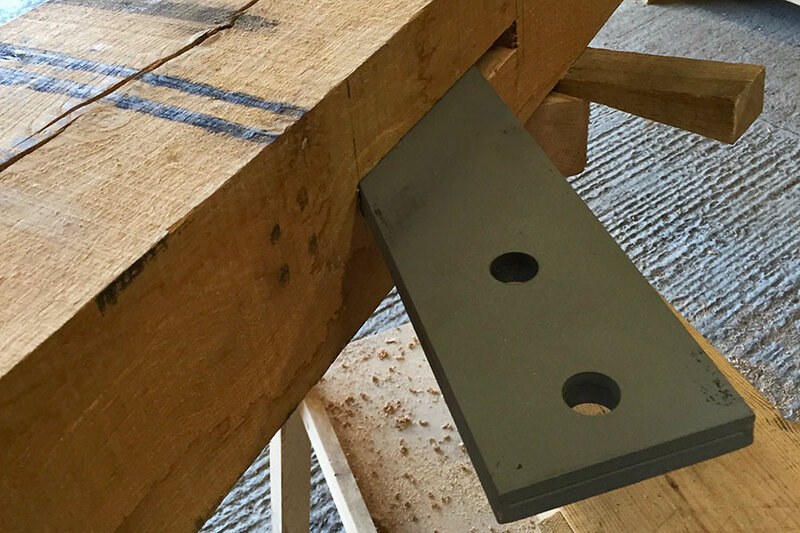 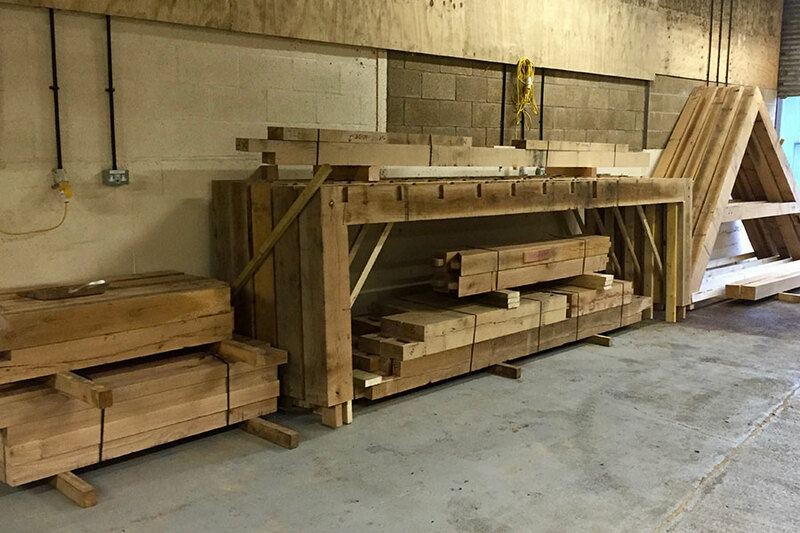 An oak joists ﬂoor and oak feature truss roof will give the building a barn like look. 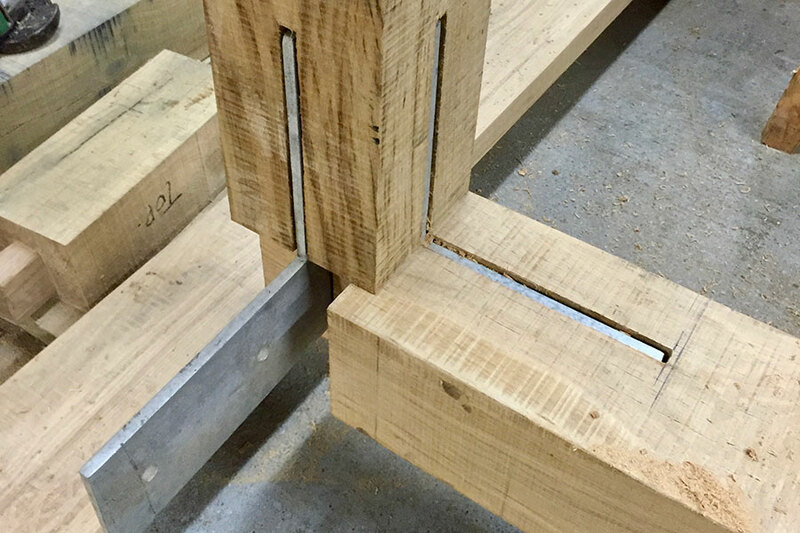 The mix of modern and traditional methods, using steel plates and pins, help achieve these open frames without the need for cross or knee bracing. 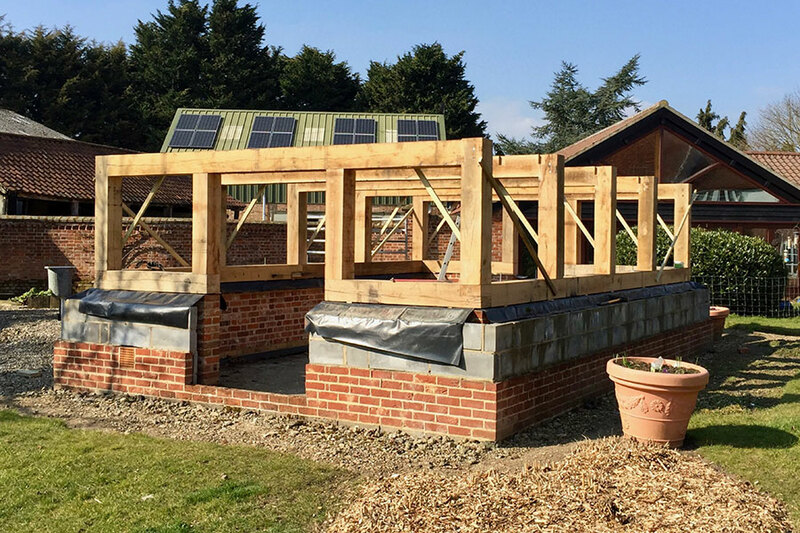 The main frames were assembled in our suffolk workshop and lifted in to place for a quick site install.